Awards are great, especially when you get one. 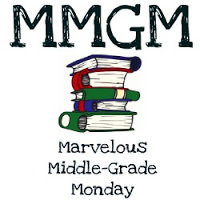 This blog has been honored by Middle Shelf Online Magazine as one of the best blogs for “for promoting and exemplifying the spirit of middle grade books.” Thank you! If you’d like to take a look at an issue or subscribe for free, click on the award button below. This entry was posted in Resources, Reviews and tagged Middle grade, Middle grade books, Middle Shelf Magazine. Bookmark the permalink.